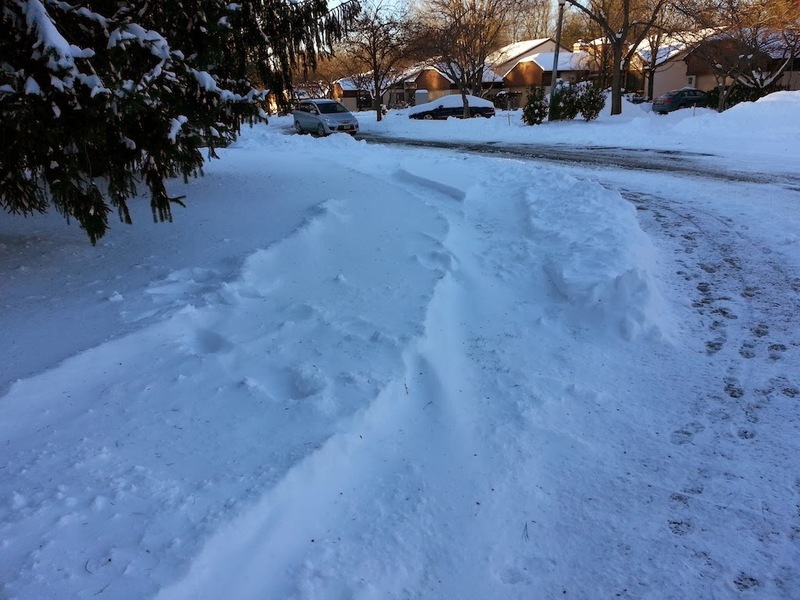 Well, we could have expected it based on the community's experience with Longford Landscapes, our snow removal contractor. They caused more damage to the landscape today while trying to clean up last night's snowfall. Shrubs on this corner are buried under a big snow pile. 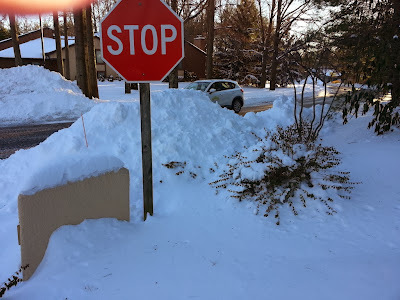 The shrubs were staked and should have been observed by plow operators. Longford was well aware of the problem—they made the same mistake in the same place last winter. Ironically, the car in the background of this photo looks like it's Longford's manager driving right by the buried shrubs. Here Longford's snow removal equipment drove off the sidewalk and over a lawn. Last night when it was pitch dark outside I saw a group of three Longford workers vainly trying to clear off the sidewalk in front of my house. Try as they might, they had no effect on the sheet of frozen ice the sidewalk became after sunset. This leads to a series of questions including: Where were these workers earlier in the day before the snow froze solid and was soft enough be shoveled? Where were they when they could see what they are doing? Why have the Longford plows done such a lousy job clearing our streets and parking areas? And finally, who’s managing this job? Who’s responsible for such poor service that my neighbors and I had to shovel our own sidewalks and parking areas (and then got blamed in an email from our own management company for putting snow in the street!)? Our plowing service has never been so poor. It’s time the Board did something about it. Longford was driving their heavy equipment around the community all through the night. If you live near the Loop Road, it was impossible to sleep.